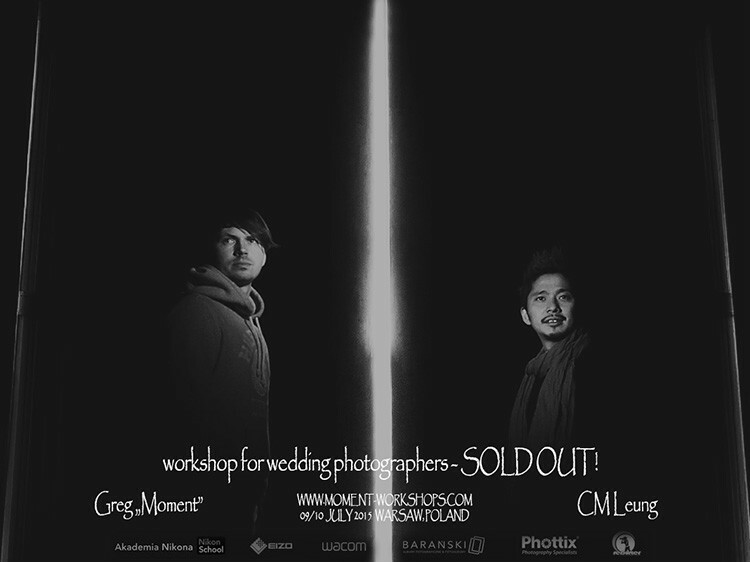 This time Greg Moment (www.moment.com.pl) provides two-day-long workshops for wedding photographers in Warsaw together with grand master CM Leung. CM Leung (www.cmleung.com) is the creative director and principal photographer of CMLeung Gallery, which has been established since 2005. CM has participated in many international photography competitions and by the year of 2010, he becomes the first Asian who won two grand awards in WPPI annual red carpet awards ceremony. Moreover, cm also conducts his own workshop and seminar in different parts of the world such as Australia, USA, UK, Turkey, Estonia, Italy, Cyprus, Spain, Greece, China, Malaysia, Philippines, Singapore and Hong Kong. CM Leung is no wonder one of the most sought after wedding photographers and guest speakers in the industry among these years…Do not skip this opportunity and learn from CM Leung and Greg Moment! ► You will learn advanced e-marketing options (eg. Power Editor)Second day – editing and retouching. ► You will see how CM Leung and Greg Moment create vision and style in Capture One and Photoshop at the end. Regular fee: 1500 PLN. Group about 20 photographers. Early birds: 1300 PLN !!! (paid before 30.05.2015. ).